Sometimes when nothing works we tend to look towards God, before that we keep saying that we are a non believer and do not follow any sort of religion or spirituality. Today i am going to talk about one of my client , i will call her Nisha as i wont take the real name of her. She was one of those non believers, who will not look at the healing or praying possibilities to solve a problem or ailment and here she was trying to conceive through IVF since 3 years with number of failures in the process. She was told by all doctors that it was almost impossible for her to conceive normally due to many medical issues she and her husband were facing. And after so many failures, she was almost giving up when one of her friend asked her to see me. She wasn’t open at all at first but then she agreed to meet me. When i met her, i did see physical problems for conception in her aura, but bigger was in mind. The couple’s belief that they cannot concieve without medical help , was more big a problem. When we believe in something, we make our energy work like that, i mean, thay were blocking every single chance of normal conception by their thought process. I agree the possibility was very very less but still wasn’t complete no. It took me a couple of counselling sessions to them, to make them understand how manifestation works and how important is positive thinking. Once they were convinced, i started with the Wiccan Healing on the couple and asked them to stop thinking about what will happen and just go with the flow. As per their doctor they had to wait for 6 months to try another IVF, so I had 6 months to try the healing on them. It was a distance healing as they were living in another city, but we talked on phone at least once in a week. They felt happy as after a long time, they were not in the stress of having a baby , they felt lighter and happier. And here in the 3rd month of healing Nisha called me to inform that she has Conceived that too normally. It was another mountain moved for me in healing and i was thankful to the divine in making me the medium to help this couple to be parents. Now the kid is almost 2 years, healthy and happy child. When i look back I get immense happiness and peace seeing these kind of healing miracles happening. To all my readers, i would like to suggest, please don’t block the possibilities by thinking negative. Miracles do happen, have faith in Divine and in your own self. PS: I do not ask or suggest any of my client to leave any sort of medication, my healings and prayers can help along with your medical treatment. There is a lot of misunderstanding in people about tarot as most of them it just a future telling tool. Its not even half truth. Future telling is just a small part of all uses of tarot cards. This pack of 78 cards can reveal so many hidden things within you. It can actually connect to your own sub-conscious mind and make you accept and understand your own reality and the hidden capabilities you always had but never realized. Tarot cards can guide you and help you in your personal and professional growth. Tarot cards will help you in choosing the right thing between many choices you have and many time it will also help you to see what all choices you have. Tarot cards can be used as a tool for meditation and rituals. 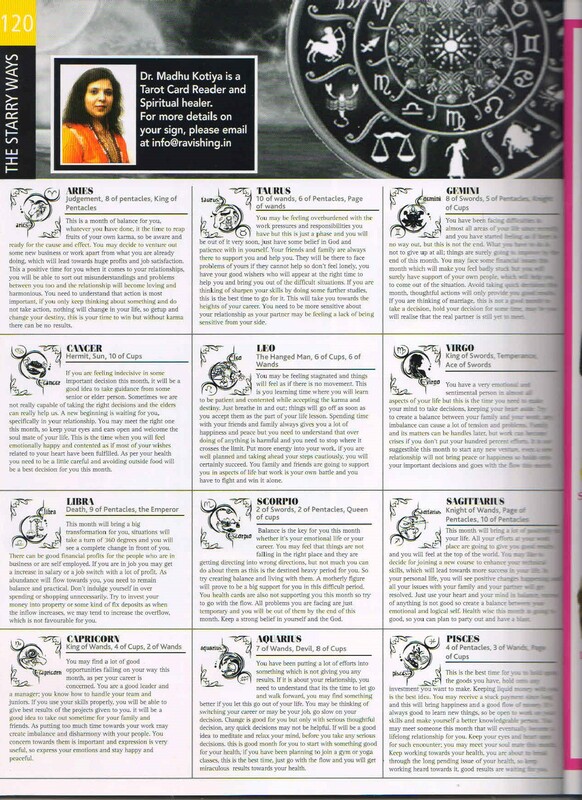 Tarot cards can give you clear picture of your past deeds, present situations and future possibilities. Tarot cards can help you receive messages from your ancestors, your angels and spirit guides and can help you connect with the higher self. Tarot cards can help you understand your dreams. Tarot cards can help you read about your friends and acquaintances to know how good or bad they are for you. In short tarot cards can help you to become a better person by understanding and enhancing your skills to understand this life. They also teach us to live in balance, no matter what so happen around us , as the first requirement to be a good tarot reader is to be balanced and unbiased. Learning tarot cards can actually give u best friend in your bag who will always give you the right and unbiased advice. 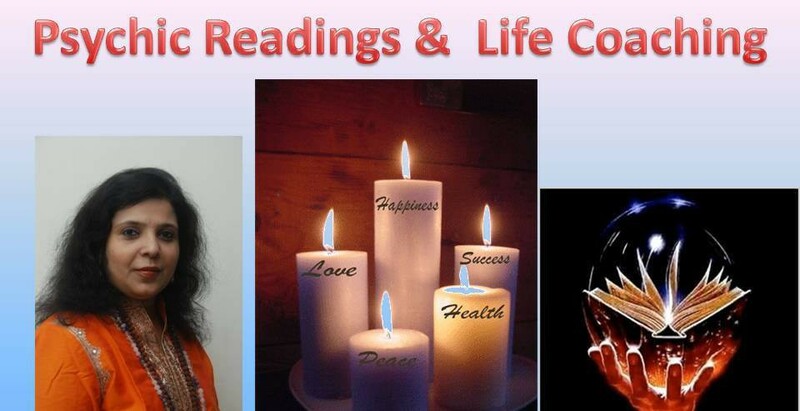 Tarot reader, Spiritual Counsellor, Life coach, Angel therapist, Past life regression therapist, Crystal therapy , Mentor in tarot classes and other occult science and paranormal subjects like white magick , healing spell casting , candle magick , wiccan healings , wiccan rituals. 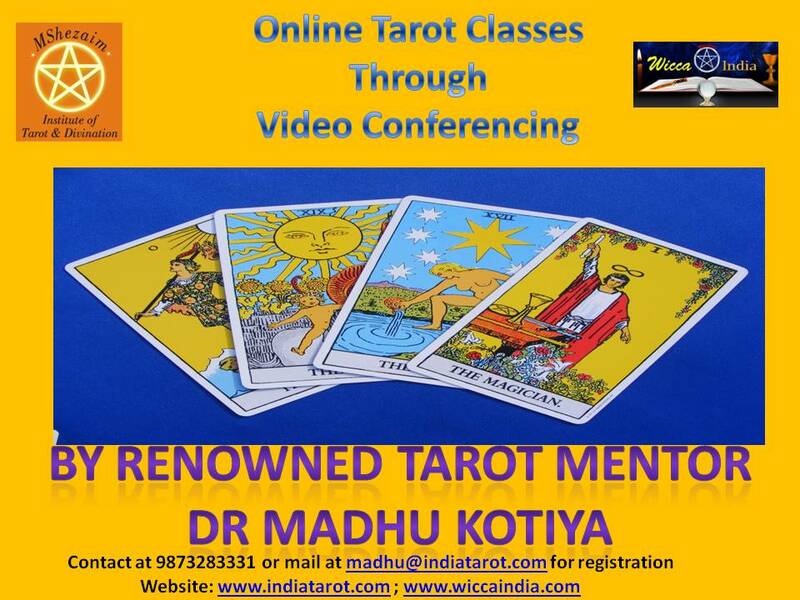 New batch of Tarot reading starting from 21st July 2014. – Learning to read for yourself, your friends and Family. * Classes are available in person and also on video conferencing. You can heal anything in life if you intend to….. Attend this 3 hour healing workshop and create harmony in your relationship.